Many people who live in California struggle with a drug or alcohol addiction. 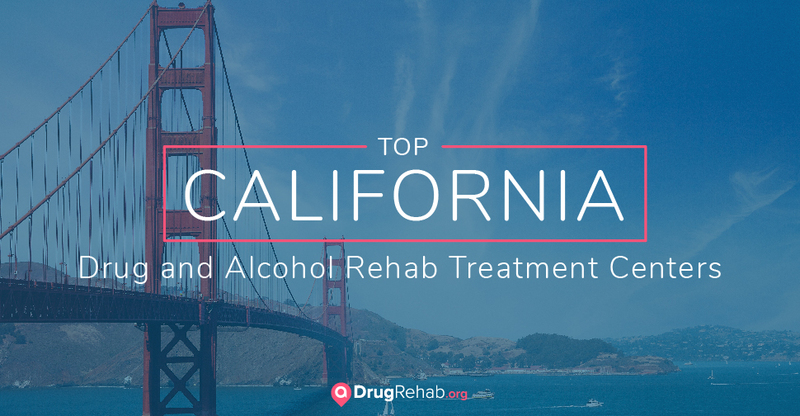 Luckily, California is home to some of the top rehab centers in the United States. California, the Golden State, is home to over 40 million people and a massive tourist trade and is also the largest state in population size. Birthplace of McDonald’s and location of the oldest tree on earth as well as Silicon Valley, Hollywood, and the Great Gold Rush of 1849, for many, California is a place of wonder. For others, it’s just home. But, like many other states, it also has a darker side — addiction. Addiction can affect far more than just the person suffering from a substance use disorder. It can have an impact on everyone who is close to the addicted individual and cause pain and hurt to family, friends, and the community. If you or a loved one is struggling with drug or alcohol addiction, know that there is hope. Finding the right treatment center is the first step towards getting the help and support needed to start a new and substance-free life. A California facility known for its good work, Above It All Treatment Center, is located at the San Bernardino National Forest in Lake Arrowhead. This facility offers drug-specific programs tailored to each person’s needs based on their drug of abuse, including an opiate addiction treatment program, meth addiction program, and cocaine addiction program. From nature walks to meditation groups to spiritual support, this rehab center boasts a holistic method of healing with its Mind, Body, and Soul approach. Above It All Treatment also offers a wonderful guarantee and incentive to choose their programs, including a 30-day free-of-charge re-admission option if a resident relapses and needs to return to treatment following discharge. Hope by the Sea, located in San Juan Capistrano, maintains a philosophy that every resident holds within them the power and capacity to change, and that every person can recover with support and a treatment program that fits their individual needs. With a typical stay between four and 12 weeks, this facility provides a college track, gender-specific track, or a Christian track towards healing, allowing for an option that fits best for the residents and their families. Hope by the Sea offers medically supervised detox programs plus residential treatment, a young adult program, a men-only program, and a women’s program, as well as the option to address co-occurring disorders such as anxiety, depression, or bipolar disorder. In addition to individual, group, and family therapy with addiction education, this treatment center gives the option of utilizing non-12-step alternatives in lieu of the traditional model, if desired. The Camp Recovery Center in Scotts Valley boasts a nationally accredited program that is individualized to meet the needs of each patient. They provide an environment designed to promote transformation of the mind, body, and soul and help patients begin a new life free of drugs and alcohol. The Camp offers both teen and adult residential treatment programs as well as medical detoxification and intensive outpatient treatment. Their nationally recognized facility has helped patients for more than 30 years and their caring and expert staff provide support and encouragement throughout the entire treatment process. The Hoag Recovery Center offers innovative and evidence-based addiction recovery programs led by a team of highly trained and passionate professionals. The center provides a number of different programs, including residential treatment, dual-diagnosis programs, and 12-step programs. The residential facility has 21 beds and is located in sunny Newport Beach, offering a beautiful and relaxing environment in which to receive treatment. The Hoag Recovery Center’s residential program includes individual and group therapy, therapeutic outings, 12-step meetings, alternative care such as yoga and art therapy, and physician and psychologist support. Each patient has a personal treatment team comprised of a nurse, physician, psychologist, primary counselor, spiritual care counselor, and case manager. Journey Malibu provides a luxurious treatment environment and a program with a goal to rejuvenate, re-align, and recover. The addiction treatment programs offered are completely tailored to each patient’s specific needs and are highly customizable to suit every individual. Their residential programs are set in a comfortable, Mediterranean environment home to a small and select group of patients to allow complete focus on each individual as he or she is guided through recovery. From the initial assessment to a gentle and monitored detoxification to the residential stay, the professionals at Journey cater to each patient’s experience to ensure comprehensive and successful rehabilitation. Since 1997, Yellowstone Recovery has helped more than 5,000 people find recovery from a drug or alcohol addiction. As a non-profit organization, they pride themselves on providing affordable yet comprehensive care to all of their clients. They offer treatment for a number of different drug addictions, including heroin, Xanax (alprazolam), and marijuana, as well as alcohol addiction. The services at Yellowstone Recovery include detox programs, residential treatment, and sober living assistance. Sober Living by the Sea offers a treatment program that blends traditional and holistic therapies for a unique and lasting recovery experience. This network of world-class treatment centers provides gender-specific programs individualized to cater to each patient’s specific needs for a successful rehabilitation experience. This treatment facility offers a number of different treatment options, including medical detox programs, residential programs, partial hospitalization programs, and outpatient treatment. They additionally provide programs for co-occurring disorders and incorporate time-tested techniques as well as newer, evidence-based methods to ensure each patient receives comprehensive care. Many people choose to begin their road to recovery by first entering a medically assisted detoxification program. This is especially important for those who are physically dependent on a substance, as the withdrawal process can be uncomfortable and sometimes requires medical monitoring. Southern California Detox, located in the beautiful Temecula Valley, provides comprehensive detox services that include medication support and management, therapy, and peer support. They also offer residential and outpatient treatment, making for a seamless transition from the detox process to a treatment program. Choosing to seek treatment for a substance use disorder is a big decision, so ensuring you select the right type of treatment is key to a lasting recovery experience. Inpatient treatment is often the most appropriate and effective choice for those suffering from a drug or alcohol addiction, as it provides residential treatment in a safe and supportive environment that is free from temptation. Inpatient rehabilitation is especially recommended for those with a severe substance use disorder or who live in an environment that enables addictive behaviors. After being admitted into a residential (or inpatient) program, the patient will go through a thorough evaluation that will allow providers to determine the best course of treatment to meet his or her needs. Men and women experience substance use disorders in different ways, as the life experiences and struggles that often shape a person’s addiction can vary from gender to gender. For example, many women have experienced domestic abuse or struggle with the hardships of motherhood, while men can suffer from anger problems and suppressed emotions. Gender-specific treatment programs address the unique needs of each gender to offer the support needed for men and women to recover. AKUA Mind & Body, located in Newport Beach offers gender-specific drug and alcohol treatment programs tailored to the specific needs of men and women. This center’s programs ensure that patients are treated not only physically but also psychologically for a comprehensive recovery experience. Dual diagnosis, or co-occurring mental health and substance use disorders, are very common and can make the recovery process that much harder. Sometimes, a mental health issue can arise after years of drug or alcohol abuse, and other times people can turn to drugs and alcohol as a way to escape a mental illness. Treatment for co-occurring disorders addresses both sides of an individual’s struggles and can help to improve quality of life as well as recovery success. The Haven at Pismo provides a continuum of care for those suffering from co-occurring disorders. Their treatment includes detox programs, medication intervention and management, nutritional counseling and holistic approaches, and gender-specific treatment. Each patient receives a tailored treatment plan that is based on his or her own unique needs. When addiction has escalated, it can often cause problems with the law. This can lead to being ordered to attend a rehab center or a choice between attending a rehab center or going to jail. Court-ordered drug and alcohol treatment programs often include employment education and help, support groups, and daily therapy. The Ken Kennemer Residential Treatment Program offered through Turning Point of Southern California, Inc. provides treatment services for the California Department of Corrections and Rehabilitation. This program is aimed towards helping patients adjust economically and personally as well as find employment. Residential or inpatient treatment requires the patient to live at the facility for an extended period of time. It’s often thought that the longer the patient stays in the treatment, the better chance he or she has at a long-term recovery. However, the length of time a person spends at treatment will greatly depend upon his or her unique situation and needs as well as the facility itself. Hope by the Sea is a treatment center located near the beautiful beaches of Southern California that provides programs that range from 30 to 90 days. The first step in their program is detox, and once successfully completed, the patient will be admitted to their residential, 12-step-based program that provides continual support. Cornerstone of Southern California offers an extended care program that requires a 90-day minimum stay. This center utilizes flexible and fully integrated programs to address every aspect of addiction, including dual-diagnosis treatment and medical detox. While inpatient drug and alcohol rehab programs are often the recommended course of treatment for a substance use disorder, outpatient treatment is also an option for those who are unable to leave behind responsibilities such as work and family for an extended period of time. Outpatient treatment usually consists of going to a facility or therapist’s office for a few hours each day where you can receive counseling and support for the various aspects of recovery. Hotel California By the Sea offers a number of different outpatient drug and alcohol programs at its facilities in Newport Beach, Costa Mesa, and Huntington Beach. Outpatient treatment in these facilities includes gender- and age-specific options that are catered to each individual’s specific needs and situation. The cost of drug and alcohol treatment is often the biggest obstacle to getting the help needed to recover from a substance use disorder. However, it’s important to understand that there are many options available when it comes to paying for drug and alcohol rehab programs. If you have private insurance, many companies offer plans that cover addiction treatment as well as treatment for mental health disorders. In fact, changes to healthcare benefits in 2008 required insurance companies to provide the same forms of coverage for substance abuse and mental health disorders as for other illnesses. Even without insurance, many treatment centers provide payment options such as payment plans, grants, scholarships, and sliding fee scales that are adjusted to your income. If you do not have private insurance, the California government allocates funds to various treatment centers across the state to enable those without financial means to receive quality treatment. State-funded drug and alcohol rehab centers work with each patient to provide payment plans or other options, such as sliding-scale or income-based plans. Whiteside Manor, located in Riverside, offers several low-cost and affordable drug and alcohol rehab treatment programs that allow you or a loved one to receive the treatment necessary to get on the road to recovery. The fees are dependent on the needs of each patient and services can include medication management, medical detoxification, psychiatric care, and medical care. If you are struggling to decide which rehab center you think is best for you or a loved one, or if you have any questions regarding the type of insurance coverage you have and the treatment facilities that accept it, contact us today. Our specialists would be happy to walk you through your options and help determine which treatment option best-suits your needs, budget, and situation. From 2010 to 2012, California was one of the top 10 states with the highest incidents of drug use and drug dependence for individuals ages 12 to 17. Additionally, in 2012, 27 percent of those admitted to drug and alcohol rehab programs were struggling with a marijuana addiction, while 35 percent were admitted for dependence on stimulants. Methamphetamine also continues to be an issue on the rise in California. According to the National Institute on Drug Abuse, for the county of Los Angeles, reports in 2014 showed that methamphetamine was the emerging substance being abused for that particular period. Rates of abuse for other substances, such as prescription opioids, benzodiazepines, and cocaine, were reported to be stable or slightly declining, but are still a prominent issue among California residents. While these statistics are depressing and can leave one feeling hopeless, know that there is hope. California has an enormous selection of drug and alcohol rehab centers where those struggling with addiction can seek help and turn their lives around. To learn more about California drug and alcohol rehab centers, contact us today at aDrugRehab.org.